John Titor, a time traveler from the year 2036 who appeared online on some time travel forums during 2000 & 2001 sharing his experiences and philosophy surrounding time travel. In his online postings, Titor claimed to be an American soldier from the year 2036, based in Tampa in Hillsborough County, Florida, who was assigned to a governmental time-travel project. Purportedly, Titor had been sent back to 1975 to retrieve an IBM 5100 computer which he said was needed to "debug" various legacy computer programs in 2036; a reference to the UNIX 2038 timeout error. The 5100 runs the APL, and BASIC programming languages. 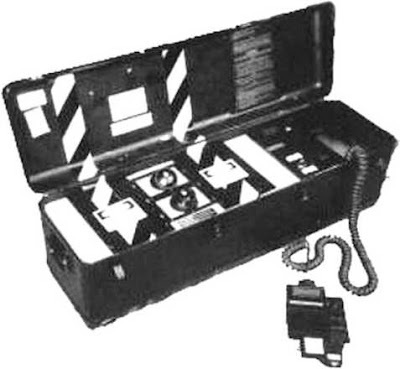 Titor had been selected for this mission specifically, given that his paternal grandfather was directly involved with the assembly and programming of the 5100. Titor claimed to be on a stopover in the year 2000 for "personal reasons"; i.e., to collect pictures lost in the (future) civil war and to visit his family, of whom he spoke often. Titor also said he had been, for a few months, trying to alert anyone that would listen about the threat of Creutzfeldt-Jakob Disease spread through beef products and about the possibility of civil war within the United States. When questioned about them by an online subscriber, Titor also expressed an interest in unexplained mysteries such as UFOs (which in his time were still as yet unexplained). Titor suggested that UFOs and alien visitors may well be time travelers from much further into the future than his own time, who possessed superior time machines to his own. Greetings. I am a time traveler from the year 2036. I am on my way home after getting an IBM 5100 computer system from the year 1975. 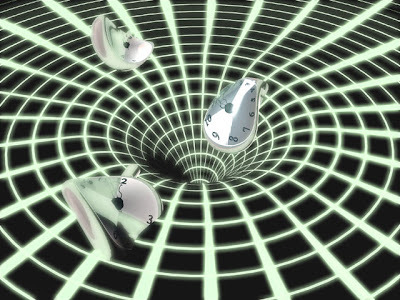 My "time" machine is a stationary mass, temporal displacement unit manufactured by General Electric. The unit is powered by two, top-spin, dual-positive singularities that produce a standard, off-set Tipler sinusoid. I will be happy to post pictures of the unit. Read Titor's original posts here ! Titor has made a number of predictions of which one recently came true, the CERN LHC experiment which started on Aug, 25th in Geneva, Switzerland. He provided clues about 9/11, the Space Shuttle Columbia disaster, and the War in Iraq. Concerning events still to come, Titor predicted the end of the IRS, an increase in mad cow disease, and the cancellation of the Olympics after 2004 due to world conflict. The Tibet conflict resulted in causal natural disasters in China as a result of the instant karmic repayment we can see in our world today. Though there were strong protests from the Free Tibet community and the rest of the world, the Olympics in Beijing continued ... The next time Olympics are scheduled to be held in London, 2012. 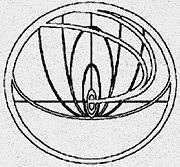 On March 24, 2001, John Titor said he would be leaving our time and returning to 2036. After that, he was never heard from again. The Coast to Coast take on Titor ! So what are we acturely doing in this time to come.I'm just a hairdresser!! i mean do we all eat fruit so we end up like the time macine on tv, i'm a veggi that eats only white meat and where he ends up is it a beautiful land (that film was probably made by time travellers), To help us to know what then would be like and to expect that ???? I predicted Russia's nuclear assault by the year 2015. I was terribly wrong, upon further identification I've realized that there are far greater powers at work. 2001 was a cover-up. Our "higher-ups" have proven that 2014's nuclear disaster is a means to destroy centralized government and create a world ruled by two dominant parties. Russia and the U.S will join after the war. CERN was all a part of this conspiracy. I was unable to stop this attack. I'm sorry. Your world as it is now; will end.